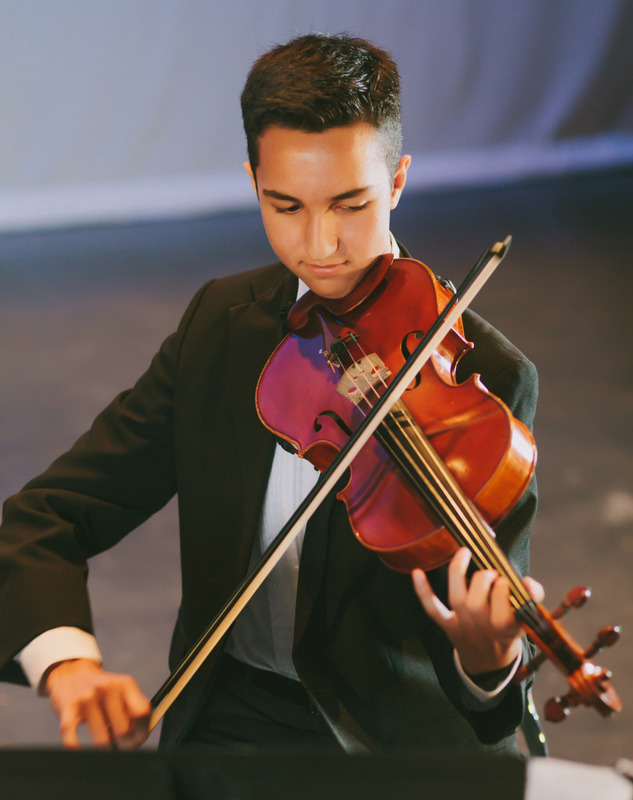 Music has the power to transport you to faraway places, and for Matthew Garcia, a sophomore at Harlingen High School of Health Professions, musical success is giving him an opportunity to tour Latin America as part of the prestigious National Youth Orchestra Program of the United States. Only 116 of the most talented players across the country were admitted into the program. Garcia who has exhibited continuous success in music began his music career at the age of twelve in the Gutierrez Middle School Band Hall where he first was granted a spot in the Honors Performance Series at Carnegie Hall, and then the National Youth Orchestra 2 program, predecessor programs to NYO-USA. As one of only ten musicians chosen to advance from NYO2 to NYO-USA, Garcia is honored to be able to participate in such an extraordinary opportunity. But as a proud product of HCISD, Garcia has learned to overcome setbacks and has become nationally recognized multiple times through NYO programs. NYO-USA was created by Carnegie Hall’s Weill Music Institute, a prestigious national program that recognizes the finest young musicians from across the country, ages 16-19. This summer, musicians of NYO-USA will study and perform with renowned Conductor Marin Alsop, performing concerts in New York and debut performances in Mexico, Ecuador, and Colombia. The 2017 NYO-USA program runs from July 1 through August 6 and begins with a three-week residency at Purchase College State University of New York where orchestra members will work with Orchestra Director James Ross and a faculty of principal players from many of America’s greatest orchestras. NYO-USA will run at the same time as NYO2, now in its second season, with more joint activities and musical interactions planned for the community of young musicians in the two orchestras. I am so proud to know Matthew! He never ceases to amaze me, and I look forward to watching him continue to develop his talent in music and in all areas of his life.